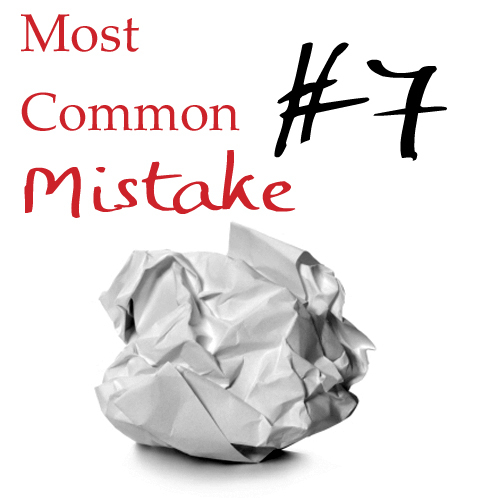 Most Common Writing Mistakes: Is Your Opening Line Lying to Your Readers? Jeanette rounded the bend in the mountain trail, and came face to face with a huge grizzly. The bear reared up on two legs and bellowed at her. Brett gasped for breath, struggling against the pull of the riptide as another wave hammered into his face. Suddenly, the shriek of his alarm clock yanked him from sleep, and he sat up in bed with a sigh of relief. Just a dream, thank goodness. Eric looked up from his class of kindergartners as the fire alarm shrieked through the building and the sprinklers blasted water from the ceiling. Heart pounding, he herded his screaming kids through the fire drill, only to be met halfway down the hall by the sheepish principal. Someone had accidentally set off the alarm. Conceivably, you could make any of these lines work if the switcheroo isn’t a lie, but instead an important example of characterization (for instance, the Hyperbole example might be illustrating that Sandra is shallow, self-conscious, and prone to hysteria). But, too often, opening hooks like these are constructed for no other reason than to allow an otherwise boring opening to start off with a bang. Take a look at your opening line. Does it fool the reader into believing something is happening when it really isn’t? Does the information that follows appropriately build on the tension offered in this first line? If not, you may be lying to your readers without even realizing it. Readers, as the best friend any writer can have, always deserve to be treated with more respect than that. Use What Influence You Have!